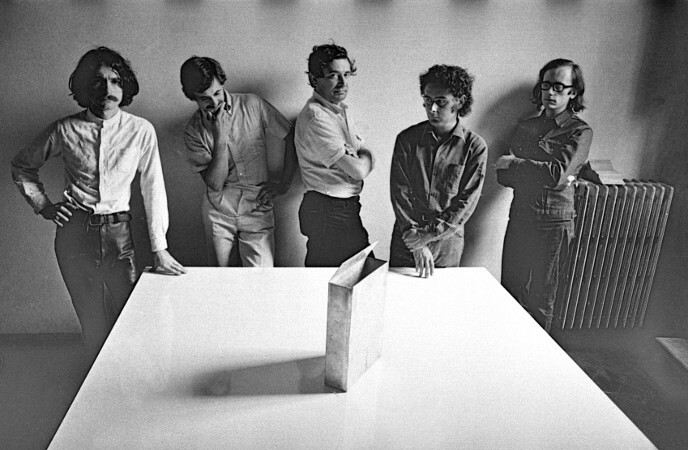 PAC presents the work of Superstudio (1966-1978), the Italian group of radical architecture and radical design that has activated a revolution in the idea of design around the world. The Superstudio have since the 70s historically animated the critique of modernism articulated through radical architecture, establishing themselves as the last great Italian avant-garde. Co-curated by Andreas Angelidakis, Vittorio Pizzigoni and Valter Scelsi, the exhibition recounts how this group of Florentine architects has influenced not only great architects such as Zaha Hadid, Rem Koolhaas and Bernard Tschumi, but have definitely questioned the limits between contemporary art and architecture. The exhibition will reconstruct Superstudio’s most important projects by bringing together its most representative pieces of design, installations and films, and by building – as a part of the total urbanisation model promoted by Superstudio itself – a dialogue with works by 21 contemporary artists, who have drawn the raw material for their oeuvre from the Florence group’s research: Danai Anesiadou, Alexandra Bachzetsis, Ila Beka and Louise Lemoine, Pablo Bronstein, Stefano Graziani, Petrit Halilaj and Alvaro Urbano, Jim Isermann, Daniel Keller and Ella Plevin, Andrew Kovacs, Rallou Panagiotou, Paola Pivi, Angelo Plessas, Riccardo Previdi, RO/LU, Priscilla Tea, Patrick Tuttofuoco, Kostis Velonis, Pae White. The exhibition opens on the occasion of the 11a Giornata del Contemporaneo, scheduled for Saturday 10th October 2015 and promoted by AMACI - Associazione dei Musei d’Arte Contemporanea Italiani, of which the PAC is a founding member. As tradition dictates, on that occasion, admission to the PAC will be free from 6:00 p.m. to 12:00 midnight.